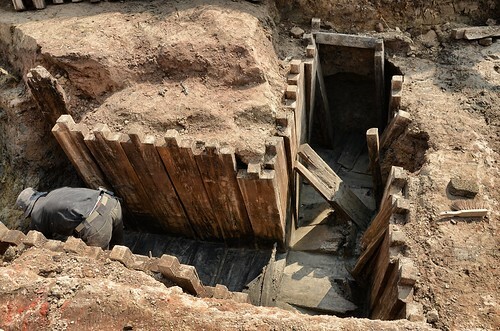 The second part of ‘WW1 Tunnels of Death: The Big Dig‘ will be broadcast on Channel 5 tonight at 8pm. 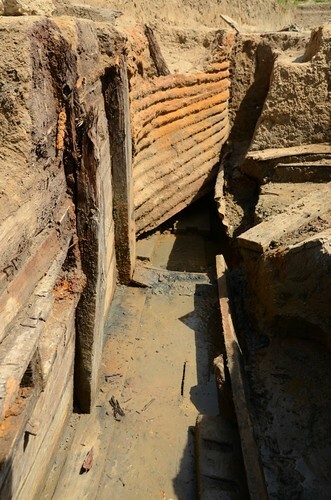 This week the programme really goes underground as it looks at the dugouts, tunnels and mining system which was part of the Messines battlefield. These were all in an incredible state of good repair, as the photographs below show. This image dates from January 1917 and shows a German materials dump in the centre of the village. 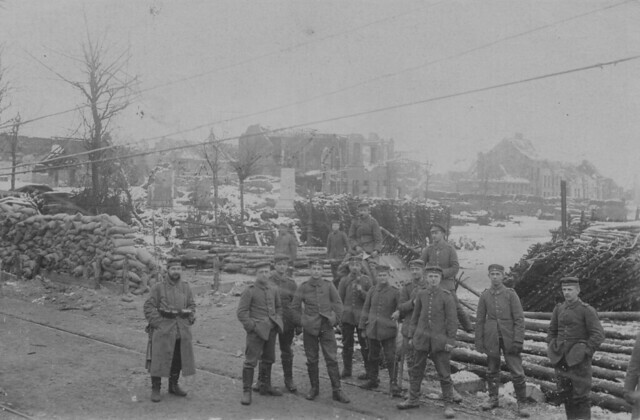 Behind the Germans in the main square of Messines and the photo shows that even only a few months before the June 1917 Battle of Messines, much of the town was still standing. Looking at the equipment dumped here, one wonders how much of it was unearthed by the archaeologists! The same tunnel with the roof back on. 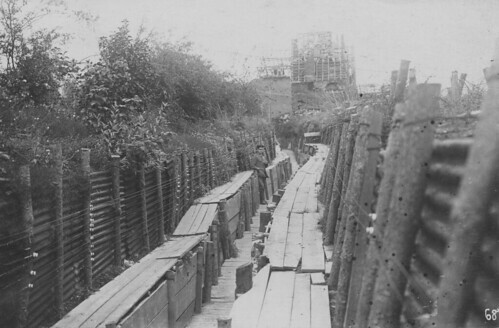 The village of Messines was heavily defended by the Germans and the sizeable trench seen in the above image dating from early 1917 shows part of their defence network on the outskirts of the village. 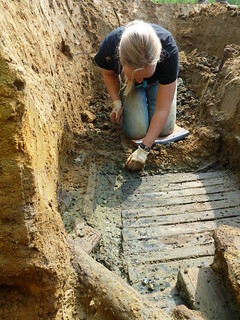 In the next episode of WW1 Tunnels of Death: The Big Dig the team explore the underground war at Messines and during the dig Simon Verdegem and his team of archaeologists uncovered a previously unknown German tunnel network. It was quite something accessing tunnels that no-one had been down since 1918. 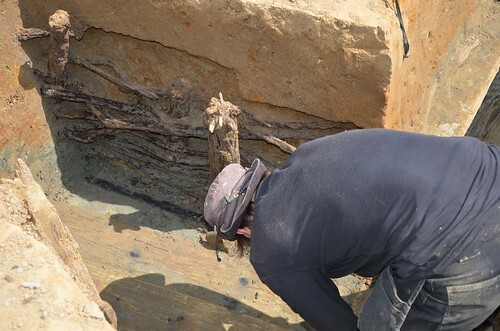 The timber which lined the tunnels was in exceptional condition and it is hoped that some of the tunnel system will be reconstructed in a future Messines museum, due to open in 2014. The German army occupied Messines at the end of the First Battle of Ypres in November 1914 and remained in possession of the village until the Battle of Messines in June 1917. 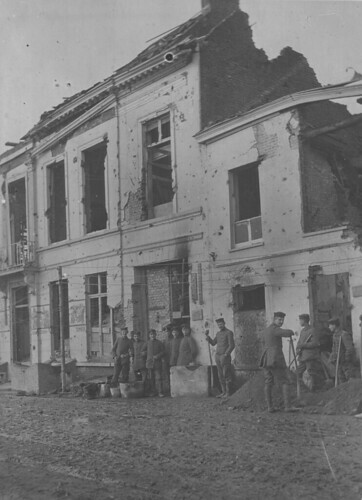 The village stayed in good condition, but with every building damaged or partially destroyed, until June 1917 when the preliminary bombardment for the attack of the New Zealand Division destroyed everything. This image dates from the Spring of 1917 and shows a German communications centre in Messines, just off the main square. 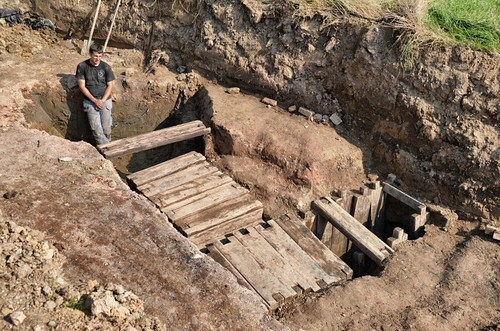 The archaeology feature in tonight’s programme very much reflects this German occupation; from the artifacts found in the trenches through the uncovering of German dugouts and tunnels; the ‘Last Witness’ of the Great War, the landscape, had much to tell us on this dig and some genuinely new discoveries were made. My new television series, WW1 Tunnels of Death: The Big Dig, starts this evening on Channel 5 and today there will some posts connected with the programme and the dig we followed for more than six months in Flanders. As part of the research for the series I was able to source a number of original images showing the village of Messines during the German occupation before everything was destroyed and also showing some of the trenches. 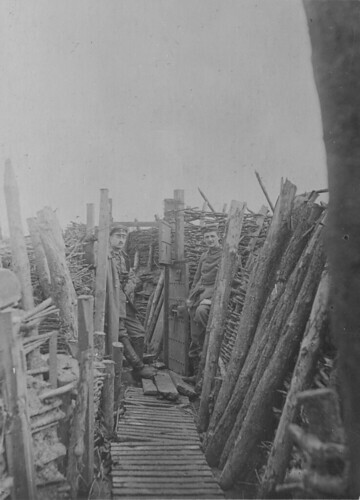 This image was one from a small collection showing the typical trench construction in the front line area of the battlefield west of Messines. This particular trench is Weißergraben and lead to the front line area close to where the New Zealand Memorial is now located. 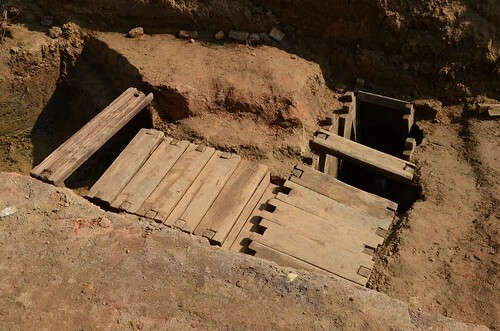 The steel door seen in the trench may well be a kiln door from the brick factory that was on the edge of the village. 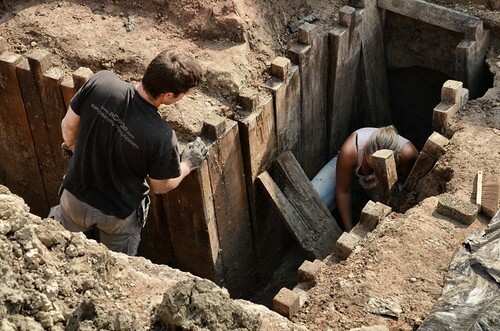 The trench design and construction is particularly noteworthy as it pretty much reflected what the archaeologists found during the dig; this style of trench support, trench wall and trench floor were all found. This will all be seen in tonights episode, starting on Channel 5 at 20.00.